We are leading manufacturer and exporter of Industrial Heating Equipments and our product is made up of good quality. Being a client-centric organization, we are offering a wide range of Heating Equipment. Our entire range of heating equipment is manufactured using contemporary techniques along with forged bass jet & heavy duty brass pipe under the guidance of skilled professionals. We are leading manufacturer and exporter of Flask Cure Infrared Refineries and our product is made up of good quality. 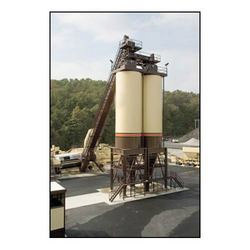 Flask Cure Infrared Refineries solutions offered comprise heating systems made available in different specifications so as to provide for quick heating without consumption of much energy. 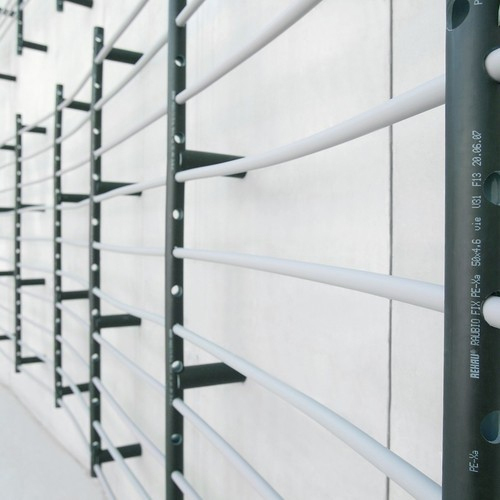 These are also easy to install and have growing demand in global markets. Further, these latest technology based heating systems can be made available in different technical specifications and can also be customized for clients so as to suit their individual requirements within defined time frame. Control panel on battery, caster wheels (brake wheels 2 No) nylon wheels and distance between pallet to floor lever in approximate height of 35. 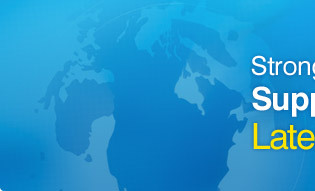 We are leading manufacturer and exporter of Heating System for Refineries and our product is made up of good quality. Heating system for Refineries offered comprise Oil Heating Systems that are backed by latest technology support so as to provide for precision accuracy in terms of functioning. These heating systems can also be customized according to clients given specifications and find usage in oil heating applications in refineries which helps in achieving faster heating while at the same time also consuming less energy. These heating systems are also easy to install and are used for ensuring correct viscosity of crude oil in long-line pipes from seaport to storage tanks as well as from storage tanks to the seaport. Further, these are also used for maintaining continuity of production in process piping of hydrocracker zone as well as in maintaining desired temperature of crude oil and refined products in storage tanks. We are leading manufacturer and exporter of Oil Heating System and our product is made up of good quality. 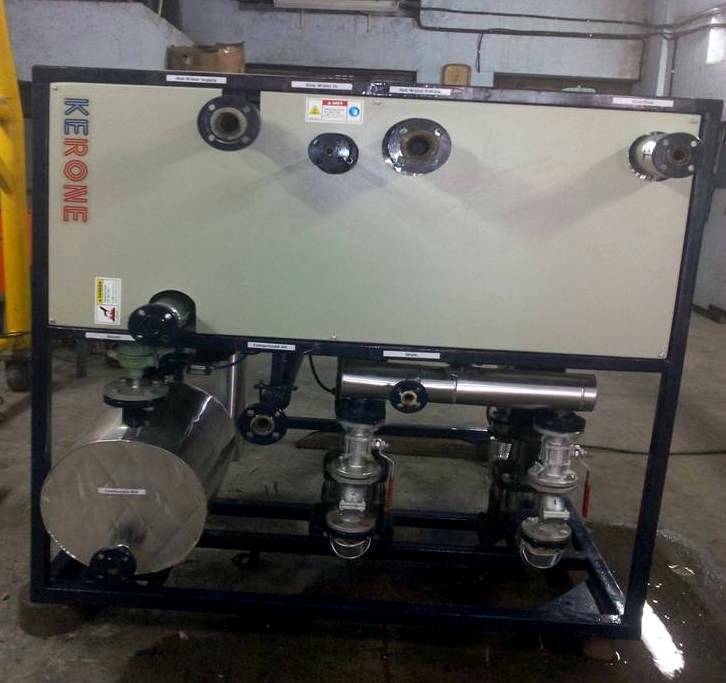 Oil Heating System offered are made available in different range like Re-boilers, Sub-coolers, Condensers, Vent Condensers and others depending upon specific process requirements. Here, the heating process is done indirectly where the liquid phase heat transfer medium is heated as well as circulated to one/more heat energy users within closed loop system. With the possible heat transfer mediums being thermal oil, glycol and water, the product line comprises standard as well as customized thermal fluid heating packages that are engineered so as to deliver optimum functionality in given applications. We request you to contact one of our application engineers who would assist you in deciding which solution is right for your project. Hot Water Generator and Heat Exchanger offered comprises a combination of shell-in-shell and tube-in-shell type hot air generator and features four concentric shells. Here, the furnace shell has blind end where flue gases are reversed over flame itself, thus forming 1st and 2nd pass. Here, the 3rd pass is situated between 2nd & 3rd shell from where flue gases are led via duct to tube-in-shell type heat exchanger. 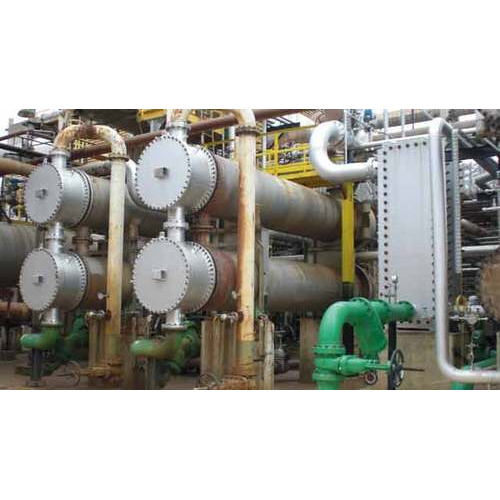 Further, the 4th & 5th passes are through tubes of tube-in-shell heat exchanger. Here, the heat exchanger functions as a device built for achieving efficient heat transfer from one medium to another where the media may be separated by solid wall, so as to ensure they do not mix/may be in direct contact. These type of exchangers are widely used in areas like refrigeration, power plants, air conditioning, chemical plants, petroleum refineries, natural gas processing and others. We are leading manufacturer and exporter of Heat Exchanger and our product is made up of good quality. Heat Exchanger offered provides functionality as a device that is designed to achieve efficient heat transfer from one medium to another with media separated by solid wall so as to ensure these never mix or be in direct contact. 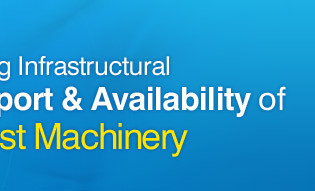 Natural gas processing, and other industry sectors. 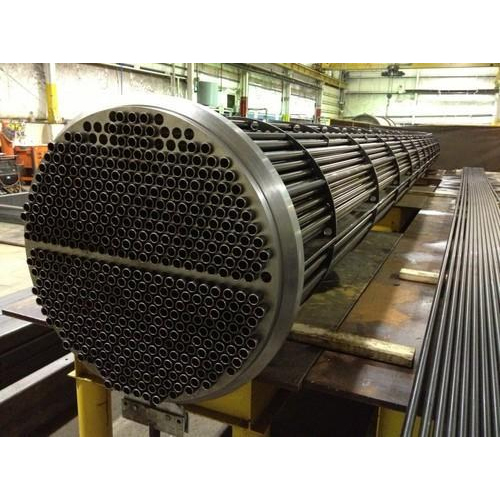 The most common of these heat exchangers are used in oil refineries as well as in other large chemical processes where these are used in higher-pressure applications. 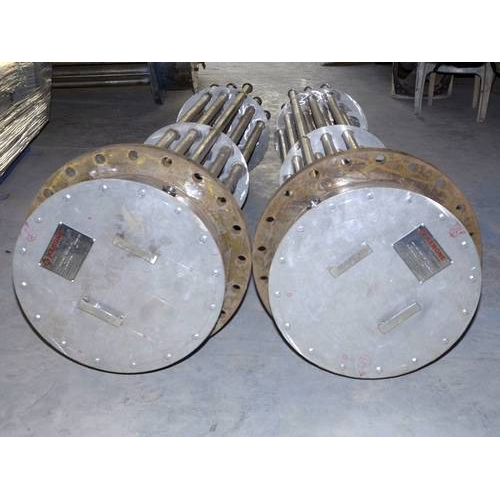 Further, these heat exchangers also comprise Plate heat exchanger which is differentiated in terms of details of plate design and sealing technologies used. With the backing of extensive R&D done, we are able to match up with the exact Heat Exchanger requirements of the customers. 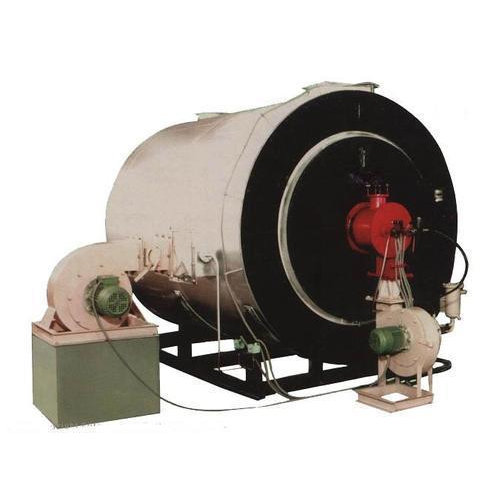 Gas Fired Hot Air Generator offered comprises a combination of shell-in-shell and tube-in-shell type hot air generators and features use of four concentric shells. Here, the furnace shell has blind end where flue gases are reversed over flame itself forming 1st and 2nd pass; with 3rd pass situated between 2nd & 3rd shell from where flue gases led via a duct, to tube-in-shell type heat exchanger. Further, the 4th & 5th pass are through tubes of tube-in-shell heat exchanger. Here, the burner assembly is bolted on removable inner cover plate with combustion air led to an air register formed by annular space of inner cover and outer cover, thus allowing the air going for combustion to be preheated. With the design of this heater being made simple and operator friendly, the maximum temperatures for this model of heater is 300 degrees. The concept of surface heating very popular in industrial applications such as textile, ceramic, wood, metal, paper & printing, processed food and FMCG, the output required to be dried from the outer skin to harden it from surface or crust. Most common application of surface heating is making of bread where outer crust of bread is harden but the inner part is kept comparatively soft, even in paper printing it's required to dry the printing ink by heating the surface of material on which printing has been done. 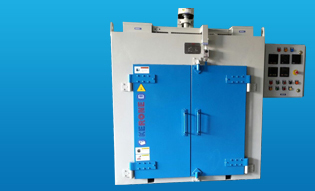 The conventional heating system when used for the surface drying, it requires huge setup and requires high energy source, conventional surface heating system heats the surface of material by utilizing hot air or steam as medium to transfer the heat. Hence it increases the surrounding temperature, also result in hug loss of energy and power. To achieve the better result in less cost, by maintaining ambient temperature the conventional heating systems are replace by advanced Infrared heating system. Infrared surface heaters utilizes the property of infrared radiation to generate the heat on the surface of material itself, since the infrared surface heaters uses infrared radiation and this infrared rays are not absorbed by the air this results in maintaining ambient temperature. Heat is generated on the surface hence the rate heating is more, this result is shorter time required for the drying of material. 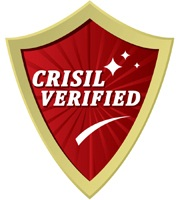 Infrared dryers (IR dryers) hinder the formation of a skin or blisters on the surface and accelerate the drying of the paint, this results in a shining surface quality. 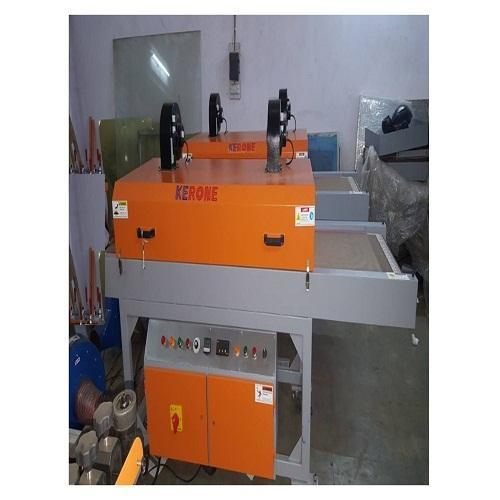 KERONE is one of the leading names in designing and manufacturing surface heating system for various industrial needs since last 40 year we have helped various industries to achieve desired result from surface heating system from conventional to new age Infrared heaters. We understand the technicality and process of industrial requirement and accordingly design infrared (IR) surface heaters. IR heating systems are faster heating system, results in saving of time. Instant heating of the material, hence no warm up time. Environmental friendly and green heating solution, no carbon emission. 100% energy utilization, Heats only desired spot of material. Better floor utilization index, as compact in size. No Temperature loss in surrounding, ambient workplace.